Supporters of Donald Trump have been busy circulating the news that actor Tom Hanks backs the Republican nominee for president. It would certainly be a major celebrity step up from the endorsements by Scott Baio and Antonio Sabato, Jr.
Hanks is a strong supporter of Hillary Clinton. The hoax, being circulated on Facebook and Twitter, looks a lot like the above. The headline reads, “Tom Hanks backs Donald Trump, destroys Hollywood.” It claims Hanks has been “blacklisted” for the endorsement. Hanks did say the country would survive if Trump wins, which is sort of like saying you will live through food poisoning if you get it. 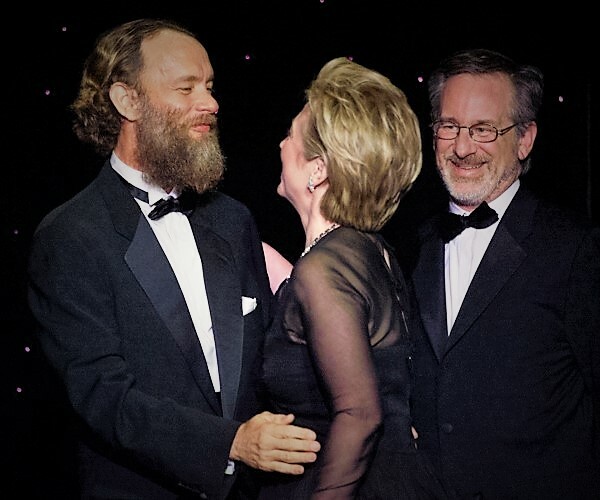 Hanks contributed to the Clinton campaign last year, and has been a friend of the Clinton’s since the 1990’s. If you see a celebrity endorsement online between now and election day that seems “surprising” you may want to do a little digging.